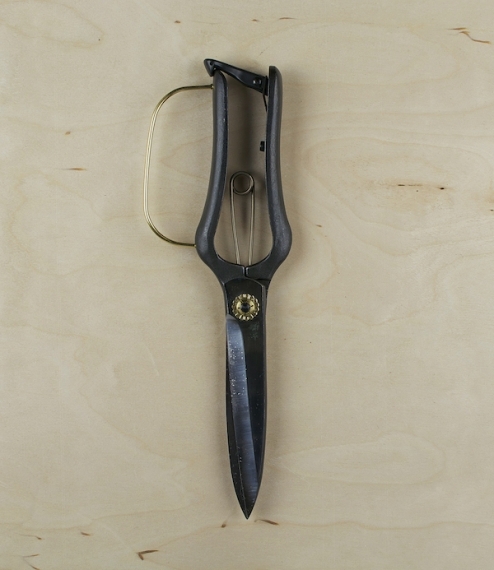 Each half of these one handed shears (hakari basami) is hot-forged from a single piece of steel, with no joints or welds that might work harden and break. The spring return blades are hollow ground for a smooth action and to minimise clogging with leaf debris, and are held securely together with a hardened and adjustable bolt. With a sprung lock, and brass hand guard. 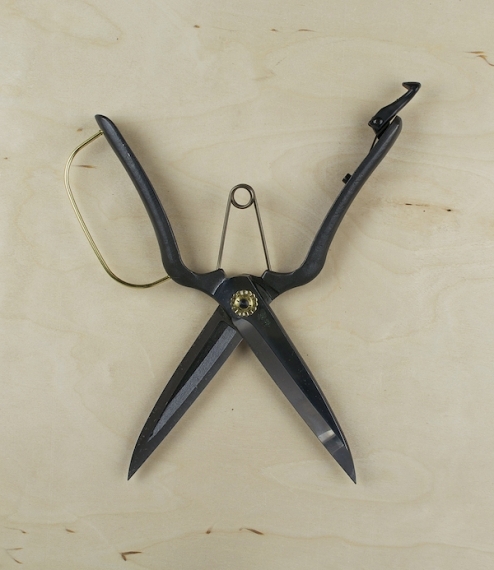 Suitable for trimming and shaping boxwood and other decorative topiary. About 26cm in overall length, with blades of 11cm.